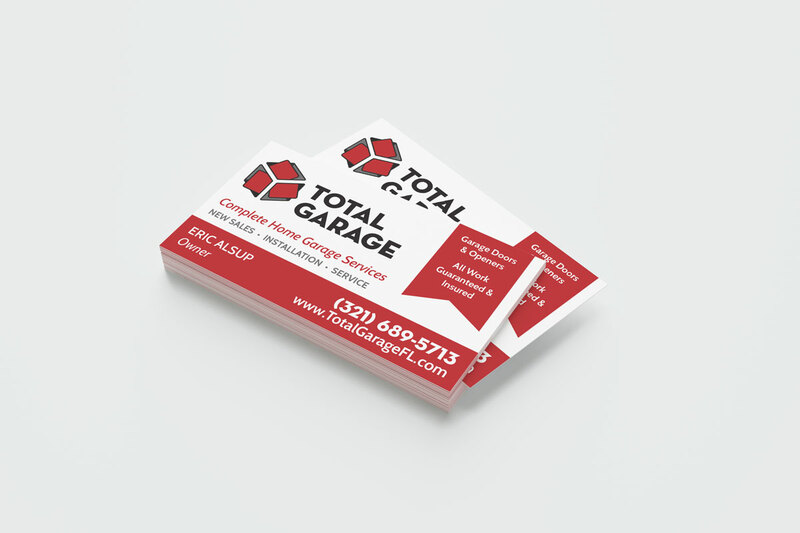 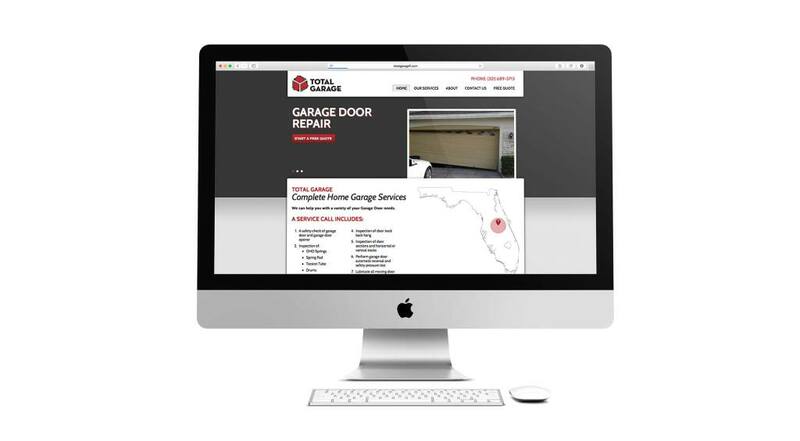 Local start up company, Total Garage, needed a brand new identity and marketing collateral. 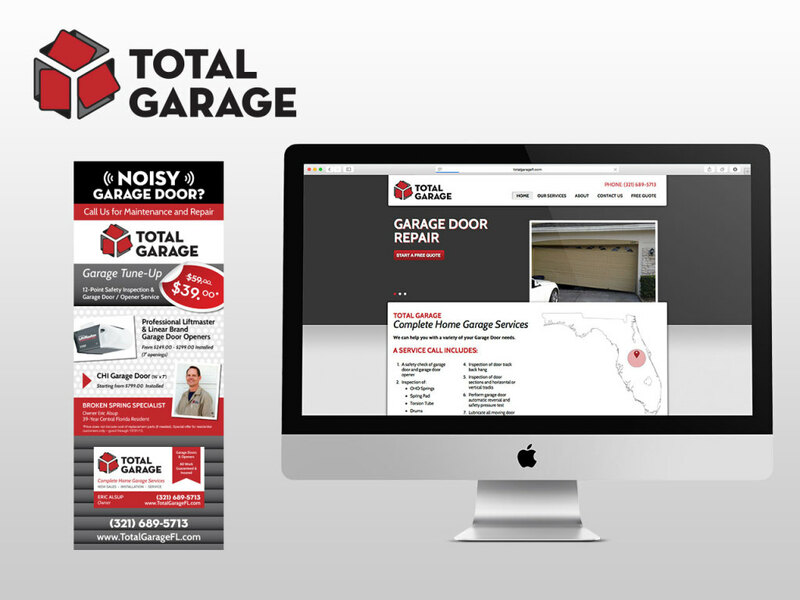 To start the business off on the right foot we created a striking and memorable logo, business cards and a landing page to get the word out there about this new business. 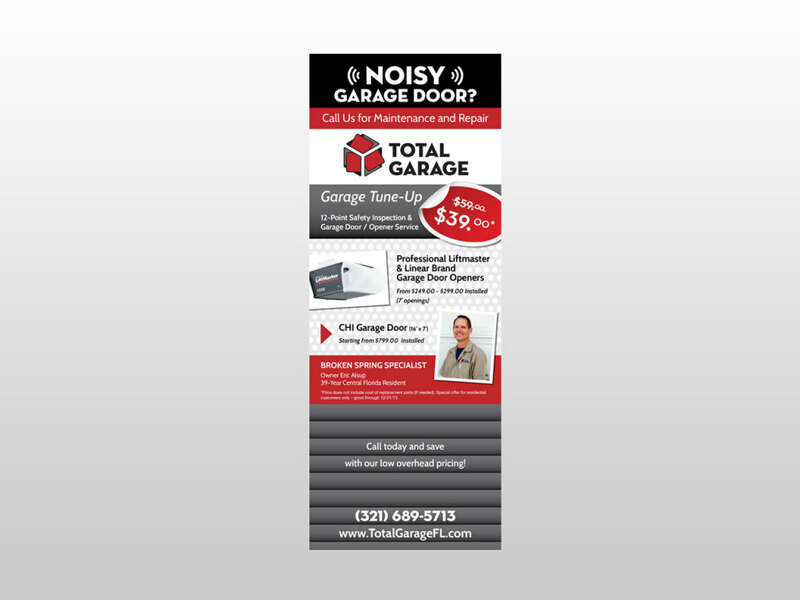 To continue the marketing efforts, we designed a door hanger card to be distributed in different neighborhoods to promote the services offered by Total Garage.